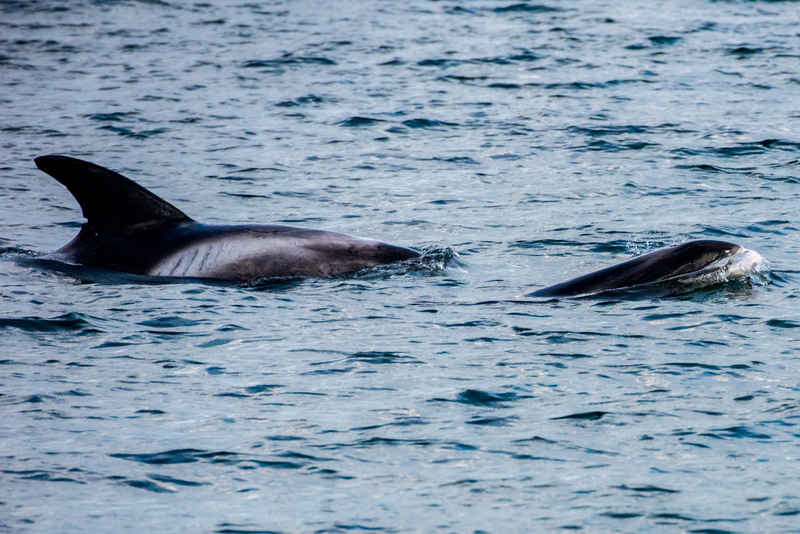 A pod of short-beaked common dolphins sighted on August 3rd in Newquay, Cornwall. Photo credit: Newquay Sea safaris and Fishing. The 2018 National Whale and Dolphin Watch event involving thousands of volunteers from all around the British Isles, conducted between 28th July and 5nd August, has revealed striking biodiversity of Britain’s Whales, Dolphins and Porpoises. Organised by the Sea Watch Foundation, Britain’s oldest marine mammal research and education charity, preliminary analysis have provided some striking results. 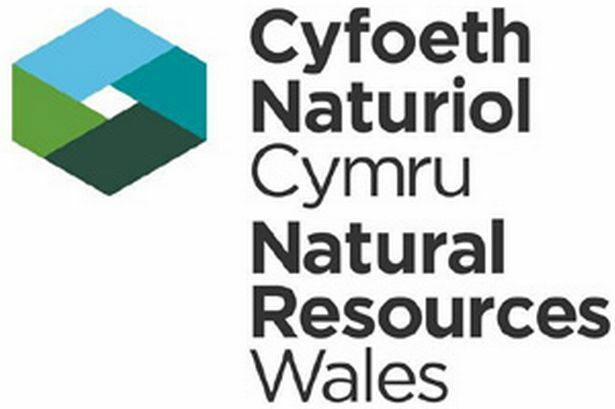 The aim of the survey was to obtain a snapshot picture of the status and distribution of some of the species of cetaceans (whales, dolphins and porpoises) recorded in UK waters. Systematic watches from both land and sea were undertaken at locations all around our coasts and inshore waters from Shetland in the north to the Isles of Scilly and Channel Islands in the south. 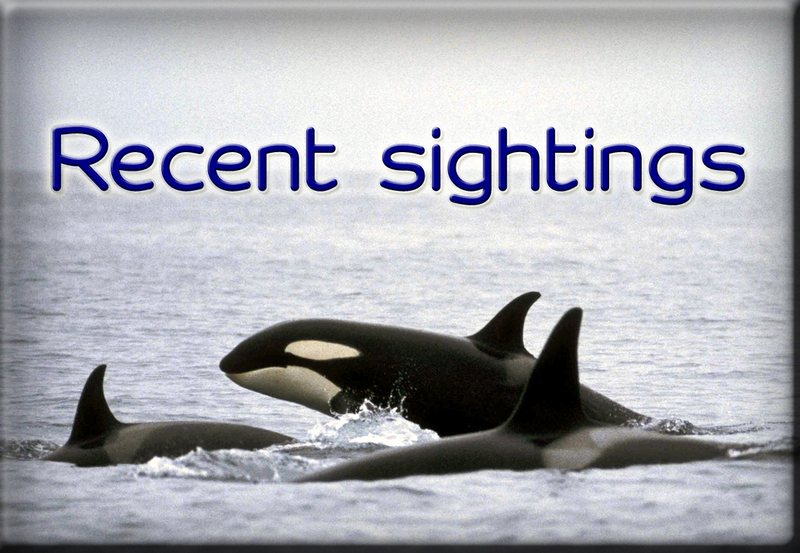 Over just this nine-day period, more than five hundred sightings of thirteen different species have been reported, and more records are still coming in. Already, however, some patterns are emerging, and a regional summary is given below. Over on the West Coast, harbour porpoises were seen at widespread locations. 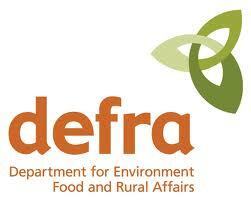 This is currently one of the strongholds of the species in Britain. The second most commonly seen species was the minke whale, also widespread but recorded particularly around the Inner and Outer Hebrides. Common dolphins have been observed around the Isles of Skye, Lewis and off Lochinver and Peterburn. 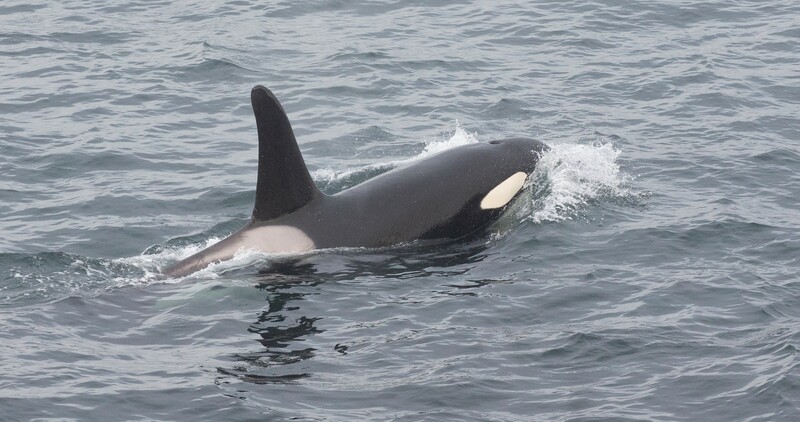 Scotland: The Northern Isles of Shetland and Orkney remain the stronghold for killer whales in the UK, and during the National Whale and Dolphin Watch, pods of up to five animals were seen around Orkney, and daily at multiple locations in Shetland. During this year’s event, one sighting recorded over 80 individual Atlantic white-sided dolphins fast swimming off Lerwick. The bottlenose dolphin is the most commonly sighted species in the Moray Firth, but particularly in the outer Firth southwards as far as Angus and Fife. Minke whales and harbour porpoise were also regularly seen. A humpback whale was sighted off Torry Battery in the City of Aberdeen, feeding in the area and performing a barrel roll in the water with its pectoral fin. Orca photographed off Shetland. Photo credits: Hugh Harrop / Shetland Wildlife. 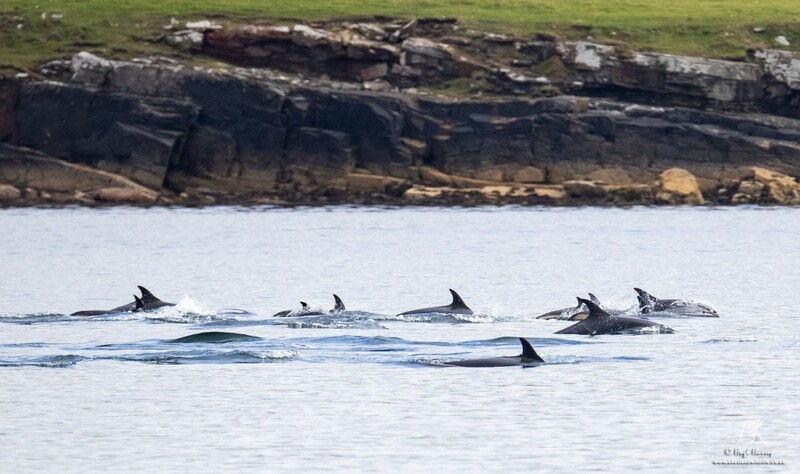 And, most excitingly, a fin whale and a pod of five long-finned pilot whales were spotted in deep waters near the isolated Outer Hebridean island of North Rona last week. Eastern England: Whereas porpoises have become less common in recent years in the northern North Sea around Shetland and Orkney, further south off Eastern England the species has increased, and during the last week were seen regularly at many coastal locations. Key sites included Mablethorpe and Chapel Point in Lincolnshire, where three sightings of up to eight harbour porpoises were seen. 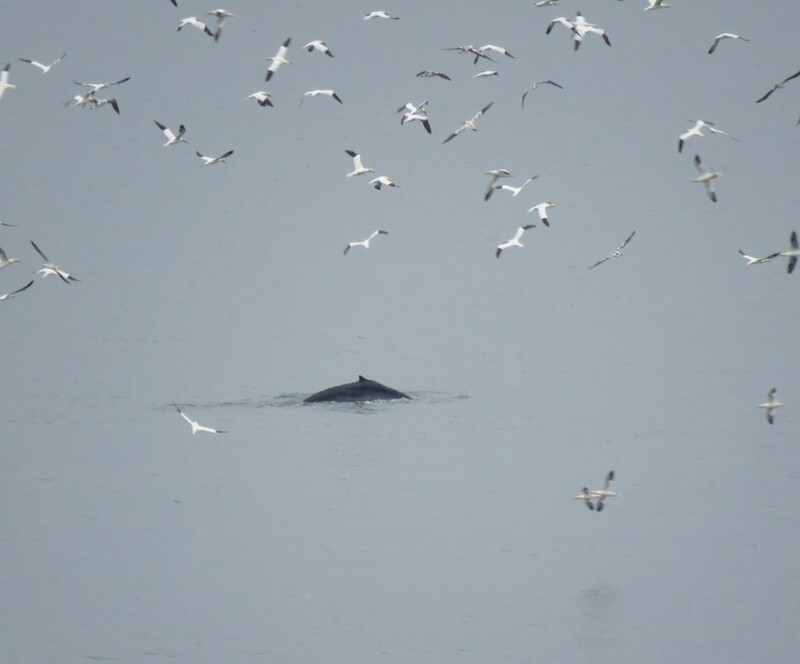 This summer has seen a good number of white-beaked dolphin sightings in Northumberland, and humpback whale sightings all around the UK, with one individual popping up this last week off Flamborough Head in Yorkshire. 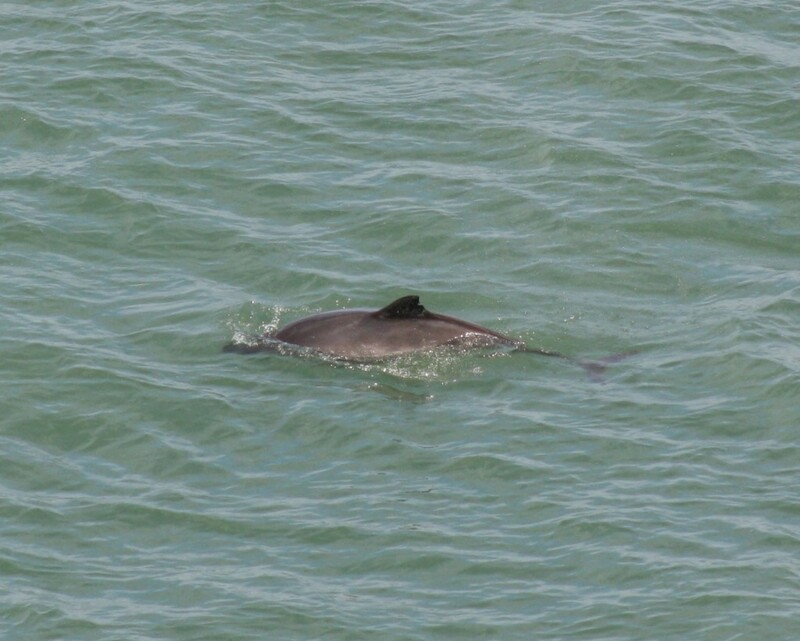 South eastern England: This summer only a harbour porpoise sighting has been reported so far during National Whale and Dolphin Watch. The bad weather at the beginning of the week combined with local environmental conditions that do not favour concentrations of fish prey, this region of England receiving the greatest amount of shipping of anywhere in the British Isles, so perhaps it is not surprising that it is not frequented by many cetaceans. Humpback whale photographed at RSPB Bempton Cliffs reserve on July 30th. Photo credit: Jo Symon. Southwest England: This has been a great summer for cetacean sightings in Devon and Cornwall, which are normally seen at many locations around the Southwest Peninsula with preferred lookout points including Berry Head in South Devon, St Agnes Head in Cornwall, and Capstone Point in North Devon. The other species regularly seen is the common dolphin, and there were many sightings of groups of up to one hundred at scattered locations from Berry Head in Devon to Falmouth in Cornwall. Minke whales were also seen in Falmouth Bay, Cornwall, and in Labrador Bay, Torquay, South Devon. 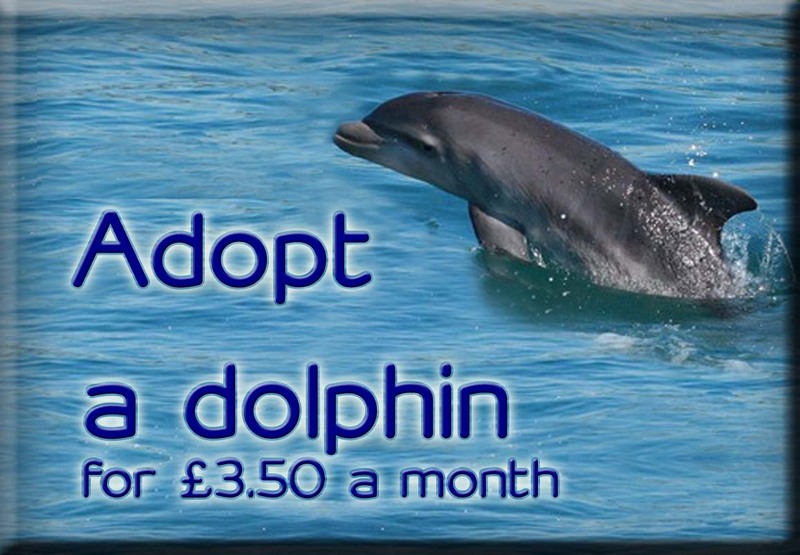 Wales: Cardigan Bay in West Wales holds the largest coastal population of bottlenose dolphins in Britain. Around New Quay Harbour, dolphins have been seen almost daily. Bottlenose dolphins were also sighted off the north coast of Anglesey at Point Lynas. The most common and widely distributed marine mammal in Wales, however, is the harbour porpoise, with sightings daily during this year’s event from New Quay and Llangrannog in Ceredigion, and several locations in Anglesey with highest numbers at Point Lynas – one of the best spots to see the species in the whole of Britain. Schools of common dolphins numbering up to fifty individuals were seen at several sites from St Anne’s Head around Pembrokeshire to Puffin Island in Anglesey. A rare visitor of this year’s National Whale and Dolphin Watch event was a striped dolphin, which live stranded at Pendine in South Wales on July 31st. Harbour porpoise photographed in Point Lynas on July 31st. Photo: Ben Murcott. Northwest England & Isle of Man: Increasingly, sightings of bottlenose dolphins are being made in northwest England during summer, and this year, the National Whale and Dolphin Watch resulted in the species being seen from Bispham in Lancashire. Large aggregations of common dolphins (with a pod of 150 individuals), a mixed group of bottlenose dolphin and Risso’s dolphins (with a pod of 60 individuals), harbour porpoises, and two other sightings of Risso’s dolphins were seen from eat and west side of the Isle of Man. Risso’s dolphins have become regular visitors here, particularly in summer. Channel Islands: A large population of bottlenose dolphins inhabits the waters between Normandy and the Channel Islands, so it was unsurprising that the species was recorded six times off Jersey during this year’s event. Northern Ireland: No sightings have been reported to Sea Watch so far from this region. 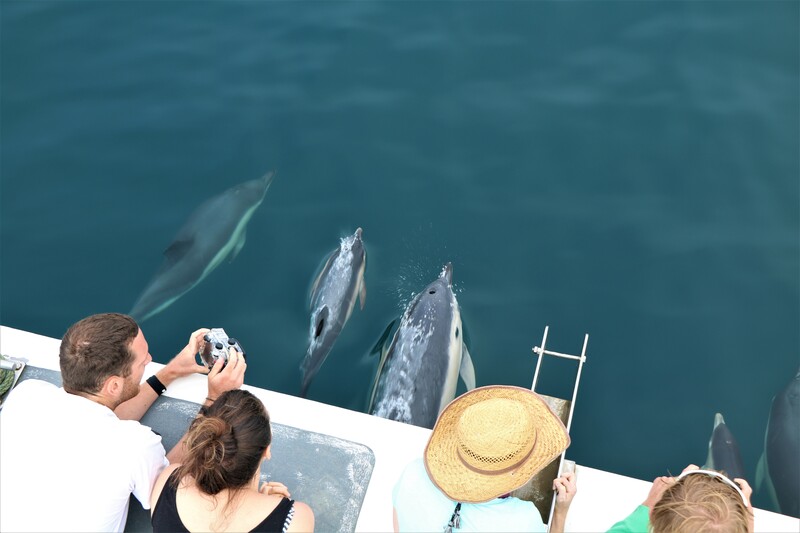 “What an incredible variety of cetacean species sighted this year during National Whale and Dolphin Watch, despite the unsettled weather at the beginning of the week. It is thanks to volunteer observers who provide us with sightings data from all around the British Isles that we are able to continuously monitor and protect local whale, dolphin and porpoise species. It is also thanks to this long-lasting collaboration that we have built up the largest and longest running sightings scheme in the world” says Dr Chiara Giulia Bertulli, Sightings Officer for Sea Watch Foundation. All the verified sightings so far can be viewed on line (http://www.seawatchfoundation.org.uk/nwdw-2018/) where they are updated as more reports come in.